Many people go to Bacolod City, Negros Occidental, southern Philippines for many reasons. A lot of them pertain to business or work-related events. If they are here on official business, chances are they have the whole day or even half a day for themselves to explore the city. So if you have no one to take you, what would you do? Where would you go? Here are some things to do in Bacolod. Why are you in Bacolod? This Bacolod City guide will somehow help you make the most of your stay here. You will be able to taste Bacolod specialties and visit popular spots for mandatory selfies without wasting time traveling around. These things to do in Bacolod are also budget friendly. 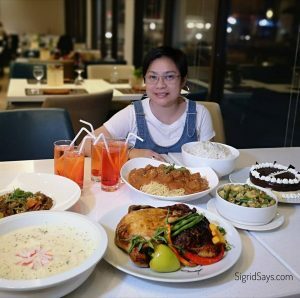 I just want to mention that I only included homegrown Bacolod restaurants for this short article and I do apologize to those that I have not included. This was made with efficiency and time constraint on the part of the traveler in mind. 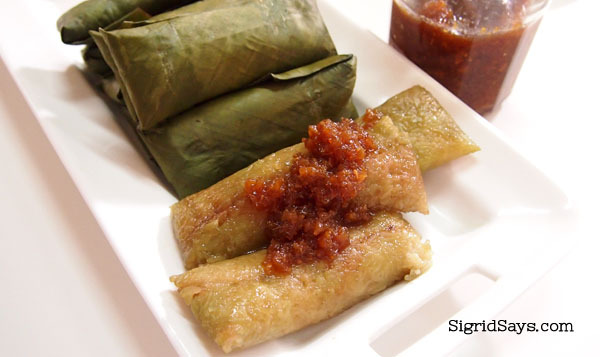 Suman Latik by Quan Delicacies — lovely native breakfast partnered with coffee. If there’s Breakfast in Tiffany’s, you can also have breakfast in Bacolod. We have so many Bacolod restaurants to choose from. If you want a native breakfast, you can go to the Central Market along Luzuriaga Street in the heart of downtown Bacolod City for kakanins (native delicacies) and of course, native brewed coffee at Cafe Excellente. With brewed coffee at P12 per cup, your P25 will already go a long way. A cup of native coffee at the Central Market is only P12. Photo by Jamie Baloyo. You can just buy the native foods that you would like to eat from the stall across. 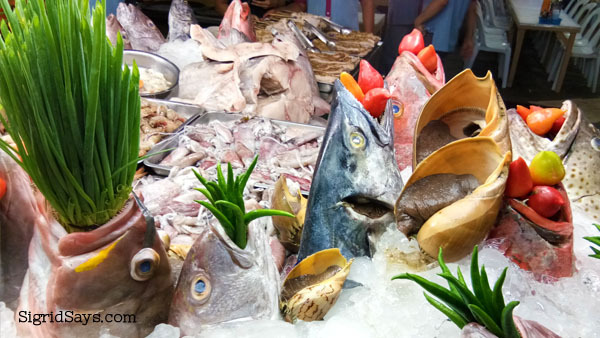 Since you are already at the Central Market, you may want to wander around a bit, especially the area where they sell native products and dried fish. Just be ready with a hanky if you’re squeamish. If you still want the same kind of food but in a cozier, safer, air conditioned restaurant, go to Quan Delicacies at San Juan Street. They have good coffee, too, and a wide array of native delicacies that were prepared with strict sanitary practices. Their foods are placed behind glass shelves, as compared to open displays in the market. Quan Native Delicacies at San Juan Street, Bacolod City. Enjoy native delicacies and good coffee at a comfortable restaurant. The only downside is, they open at 8am, which may not be early enough for some. You may also buy some Bacolod pasalubong items here, like galletas, sugar-free treats, and also their organic salad dressings. After breakfast, you may cross the street going to the Bacolod Public Plaza where you can have your photos taken at the center. It is the venue of our world-famous MassKara Festival dance contest and is among the top things to do in Bacolod. There you will see the giant chess board patterned floor that is often depicted in MassKara Festival logos. San Sebastian Cathedral — the seat of the Diocese of Bacolod City. Photo by Maricar Dabao. Then crossing the street on the other side of the plaza is the San Sebastian Cathedral along Rizal Street. 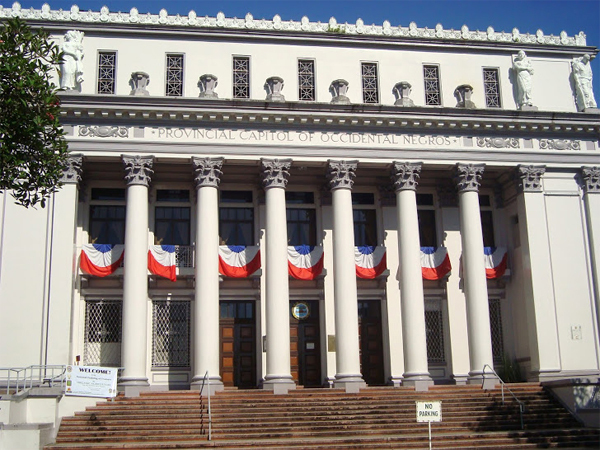 It is a late 19th-century structure that is the seat of the Roman Catholic Diocese of Bacolod. Go to the corner of the church (westward) and then cross the street and ride the trisikad going to the Pope John Paul II Tower. If you go up the 7-story building, you will get a nice view of the city. The tower is dedicated to the late Pope John Paul II who visited Bacolod City on February 20, 1981. It was such a memorable event for the people of Bacolod City and it was estimated that there were a million people who attended the mass that the Pope celebrated at that time. 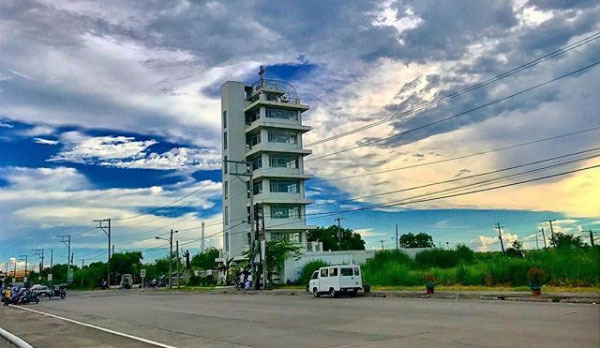 The tower is located in the city’s Reclamation Area a.k.a BREDCO (Bacolod Real Estate Development Corporation) development. An eight-foot sculpture of the Pope is what you will see at the gate entrance of the tower. Entrance is only P20. This is one of the things to do in Bacolod because it is a unique experience. By this time, it would be around 11am so in awhile, you will be ready for lunch. Before you proceed with your things to do in Bacolod, energize yourself with some locally cooked food. There are so many Bacolod restaurants around the downtown are but I suggest that you go to the Manokan Country, just across SM City Bacolod, for authentic Bacolod Chicken Inasal. Please, please, do not mistake our Bacolod chicken inasal with Mang Inasal– that’s sacrilege for Bacolodnons. Oysters (talaba) and Bacolod chicken inasal at Lion’s Park. Kaon ta! So from the Pope John Paul II Tower, just take a rather long walk passing the street under the bridgeway of SM City Bacolod to Manokan Country. If you don’t want to walk, you can also take the trisikad again, just tell the driver that you are going to Manokan Country, however, you will have to go the long route because the street that cuts across SM is one-way. From the corner of Manokan Country, you can window shop for the the stall where you wanna eat. The first one on the right is Lion’s Park. At Lion’s Park, you will get more than just chicken inasal. They have seafood paluto (you pick the fresh seafood and have it grilled, fried, sauteed, sizzling, made into adobo, or whatever), turo-turo (fastfood) counter, ala carte menus, and of course, oysters. You have so many native Pinoy foods to choose from here. Although they are not known for these, but you may check out cansi at Manokan. But if you want to eat only authentic cansi, go to Sharyn’s Cansi House at Narra Avenue. There are Manokan Coutry stalls and all of them don’t have air conditioning. Be prepared to eat while the sun is high up outside since it’s lunchtime. 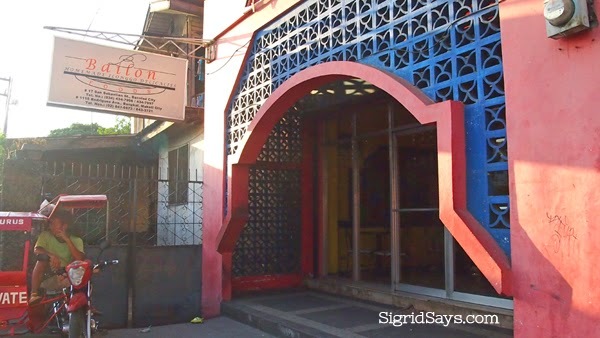 But that’s okay, it’s all part of the experience among native Bacolod restaurants. Order your favorite chicken part plus if you like, some blanched oysters and other grilled items like pork chop or spareribs. Then prepare to eat with your hands while dipping the chicken in a dipping sauce of soy sauce, vinegar, calamansi, and chili. Additionally, don’t forget the chicken oil (in reality, anato oil) and salt for your rice. That’s what gives rice the yellow-orange tinge and further flavor. Since it takes some time to grill raw chicken, your lunch will be served around 12 noon. 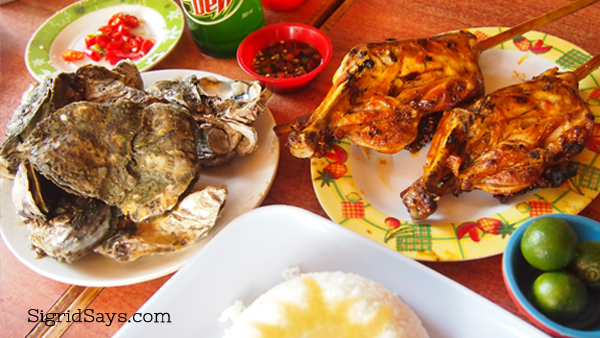 Bacolod chicken inasal prices ranges from P70 to P99, depending if it comes with a meal of rice and drinks. Also depends on the restaurant. Meanwhile, oysters maybe ordered at P50 to P60 per serving. An option for you from Manokan Country is to stop by the Negros Museum for an hour to learn more about our heritage. Customs and collections of our ancestors are preserved and displayed here. From Manokan Country, you can take the cab coming here. Fare will be at least P60. From the Negros Museum, you may walk a few meters going to the Provincial Capitol and the Capitol Lagoon. Take photos there. At most, you will spend 30 minutes. You can to proceed to get a slice of cake and coffee. Take it as late postre or your afternoon snacks. 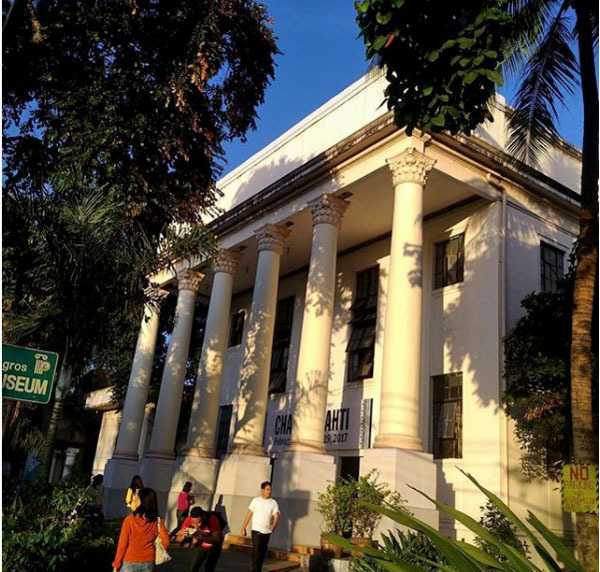 Negros Occidental Provincial Capitol. Photo by Maricar Dabao. From the lagoon, it will be another short walk to C’s by L’Fisher at 15th-Lacson Street, approximately six short blocks. Here, have a slice of cake and some good coffee. 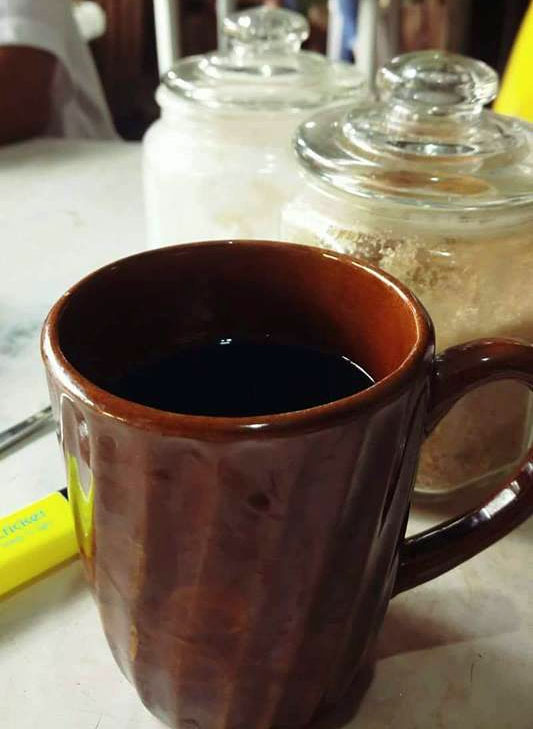 It’s one of the practices of Bacolodnons–to have postre after a meal and of course, a good cup of coffee. But in this case, you just had a stopover in between. P150 to P200 should give you a nice dessert and a good cup of coffee. After C’s, you may want to check out the picturesque roof deck of the L’Fisher Chalet for a pictorial. To experience the laid back lifestyle is one of the things to do in Bacolod. If you like, you may want to shop for Bacolod pasalubong items from either Merzci Pasalubong or Bongbong’s. If you are at C’s at 15th Street, you can just cross to the other side road and move along to 14th Street where Bongbong’s and Merzci are located. You wouldn’t get lost around here. A small box of Merzci Pasalubong. They have medium and large boxes, too. 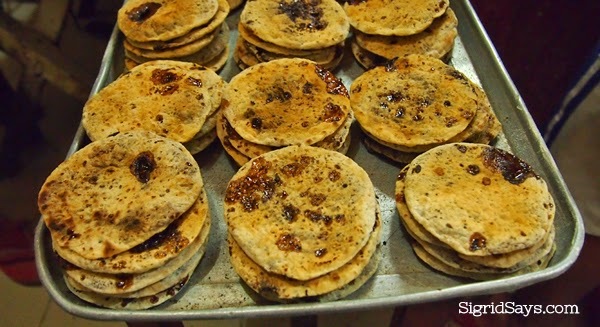 Get the Ilonggo favorites like piaya, biscocho, tarts, and many more. A small box would cost you anywhere from p250 to P500, depending on what you pack inside. The box is free. If you have an evening flight out of Bacolod, then you no longer have time to have dinner. Your best option is to bring your stuff around so that you just take the ride going north–the direction of the airport. But before you head to the airport, drop by Negros Occidental’s famous landmark — The Ruins. 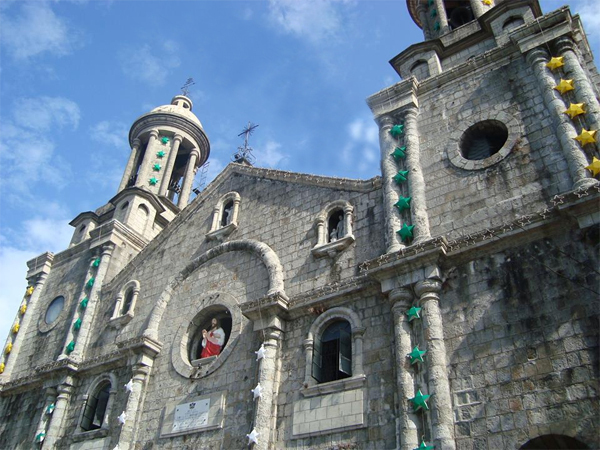 It is located on the border of Bacolod City and Talisay City. 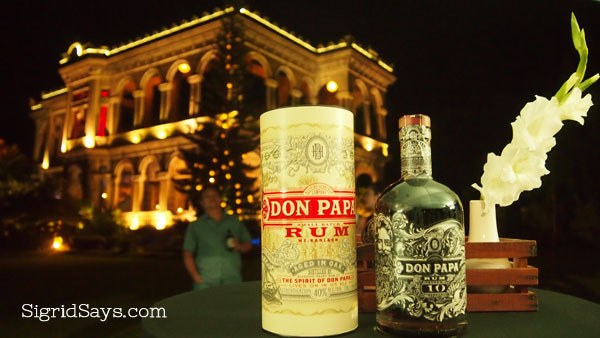 A photo of Don Papa Rum that I took with The Ruins on the background. So nice and well-lit at night. If time permits, you can stay there and experience sunset until it’s time for you to proceed to the airport. There you will also meet the now famous Ruins guide and local celebrity, Roger Lucero, who was once a PBB Big 4 winner. Just check their FB page to make sure that it is not closed for a private event, which happens quite often. If you have an evening flight, pass by Sharyn’s Cansi House in Silay. 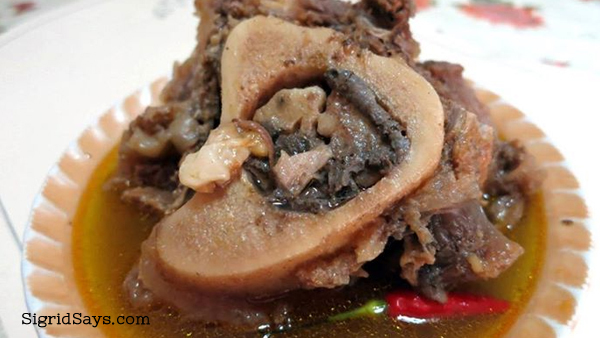 Tthe world-famous Bacolod cansi is now in Silay City. It is just located along the highway, just before the turn going to the Bacolod-Silay Airport. They close at 9pm, so you can still catch that comforting steaming soup before your flight. Having cansi should not be missed. It’s one of the comforting things to do in Bacolod. 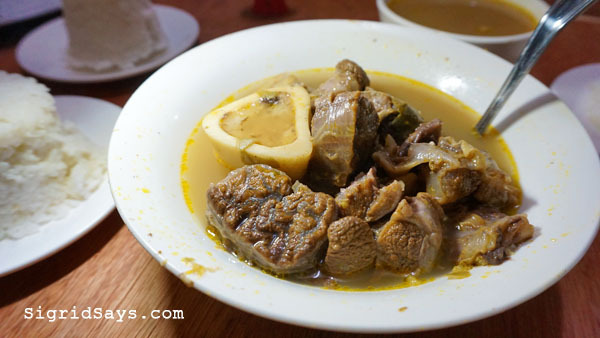 Have some Sharyn’s Cansi in Silay before you take your flight at the Bacolod-Silay Airport. Now, if your flight is not for the following day, then you still have the night to explore. Have a seafood dinner at many of those rugged restaurants, like Ading’s Pala-pala, Hyksos Pala-Pala, and Diotay’s Eatery. If you want a cozier seafood resto, go to 18th Street Palapala. Fresh seafood on display at Diotay’s Eatery. Pick what you like and have it cooked however you like it. Since it is already nighttime, I suggest that you take a cab or Grab to these Bacolod seafood restaurants. It’s faster and safer, too. If you are in a group, you can easily share different dishes and spend a minimum of P200-P250 per person for your dinner. But if you order crabs, prawns, etc, then you will have to spend more. I pointed you to these three placed because these are all near Lacson Street and you can easily slip out, take a walk, and then end up at a nice watering hole to cap the night. After dinner, my suggestion is to go to The Trap Door by Illusion Brewery. 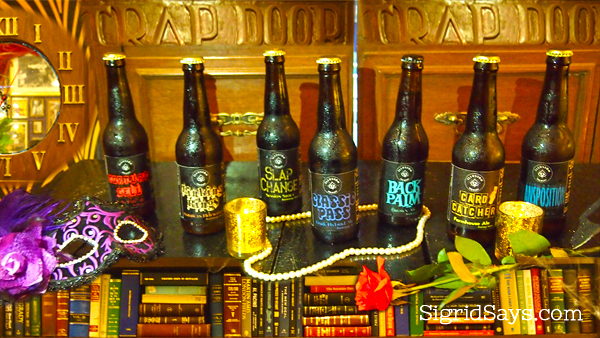 Some of the bottled craft beers by Illusion Brewery that are available at The Trap Door. They have several kinds of craft beers on draft and bottles. Your P200 can buy you a drink and a space to unwind for the evening. But if you will have pulutan and another drink, prepare to shell out about P600 per person. Don’t ya worry, you will be home the next day anyway so you can sleep in the plane. 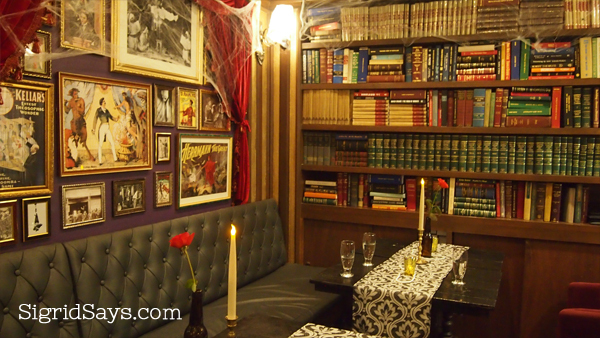 Experiencing The Trap Door is one of the best things to do in Bacolod. There are still so many things to do in Bacolod. But given your little time in the city, these are my suggestions to make the most of your trip. All in all, if you do everything that I have listed here, you will be spending about P1,000 for one whole day, including transportation. 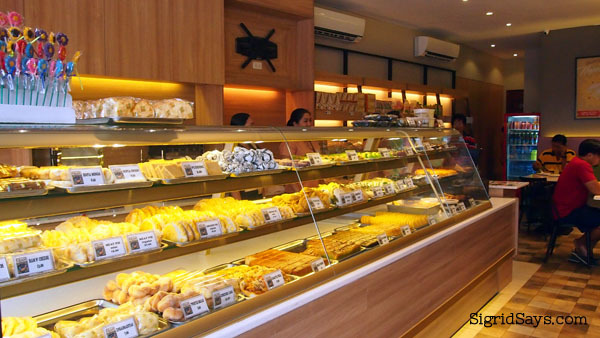 One interesting stop in Bacolod would be Bailon’s Foods at San Sebastian Street. It is very near SM City Bacolod and Quan San Juan, but it’s kinda out of the way. But you may want to witness how they are making their special kind of piaya that has a thin, crispy crust and with the sugar sticking on the insides of the crust. 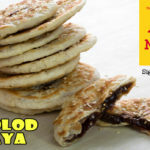 This is more expensive than the other kinds of Bacolod piaya, but is worth trying. Bailon’s Foods special Bacolod piaya. You will not find this kind anywhere else. And if you’re lucky, you might catch them cooking, too — one of the things to do in Bacolod. Do buy some packs here to bring home. Also try their special empanada and fresh lumpia, both so good! A pack of Bailon’s piaya is P105. You can get here after your breakfast at Quan San Juan by walking four blocks southward or riding the Bata-Libertad jeepney. 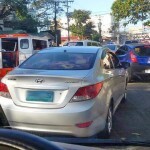 You can tell the driver to let you down at CORNER San Sebastian Street. From there, just ask the trisikad drivers because Bailon’s is the 3rd building from the corner. The simple store of Bailon’s Foods at San Sebastian Street, Bacolod City. Come and visit Bacolod City! What do you think of my guide? I lived in Bacolod City for almost six years and I haven’t visited some of the spots you mentioned. Maybe in my next visit, I will be able to check out those places. Thank you for the tip! Who says that in a Day Trip you can not do and see many things? Your guide of things to do in Bacolod is awesome! Not too many people have the luxury of time to go around a city. So this is just very useful for those who have limited hours in a place. What an interesting place! I would surely love to spend some days there! This would be a fun trip for a single day! I know I’d love to try the local cuisine and check out the museum in Bacolod. I love to learn about different cultures, too. All this food is making me hungry. I do love tasting food from other countries. If I get to visit the Philippines, I won’t miss a stop to Bacolod City. I don’t know much about the Philippines and Bacolod City. But the Cathedral and local museums look like they would be really cool to visit. That cathedral is gorgeous! It’s good to know that there are so many things to do in Bacolod even for just a day. Nice guide! I don’t really do one day trips but maybe i should! it sure is great for exploring a city near buy! the food in Bacolod looks amazing! What some amazing sounding thing to do to make the most of your day trip to Bacolod. I think you always want to know what are the best things to do if you are quickly visiting an area. wow! 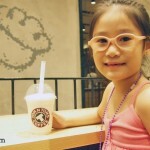 what a lovely place to explore I definitely bookmarked your post sis cause one day we really plan to visit bacolod!!! 🙂 the food is a must try for us hope I can meet you there too ? I love exploring museums and good food. I try to find unique foods I can’t get at home when I travel. The food in Bacolod looks great and unique. Would love to sample them! Wow, Bacolod is such an amazing place to visit. There are so many things to see and activities to do. I cannot wait to have a visit. I’ve never heard of Bacolod, but I would definitely spend the day there. 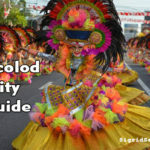 These guide on the things to do in Bacolod sounds great and doable. And you have a lot of good restaurants, too. It might as well be a food trip or sorts. We know someone who came from Bacolod and I can say that she is very nice. That place sounds really amazing! Hope we can visit your city soon! Whenever I go on vacation or business trips, so many of my activities are planned around meals. I do enjoy trying local cuisines whenever possible. However, I do have a weak stomach. I hope I wouldn’t need a hanky!!! I have never been to the Philippines and do not know very much about the area or culture at all! But yeah, we just know Miss Philippines as Miss Universe. But I’ve heard really lovely things about it though! And this post about Bacolod City makes me want to go there. Honestly, I have never heard of this place ! It’s amazing to read traveling blogs and become knowledgeable of these awesome places in the world. Thank you for sharing about Bacolod City. One more for the bucket list when I visit the Philippines. What a wonderful place to visit!! I’ve actually never heard of Bacolod City, but this would definitely be a place I’d love to go! So quaint and peaceful. All of those places you featured do look amazing. I love all the different food suggestions you have in Bacolod City for all the different meals. Just so many delicious things to try while there. Its really an amazing place and will be a different experience. I would love to go there. Thanks for sharing.